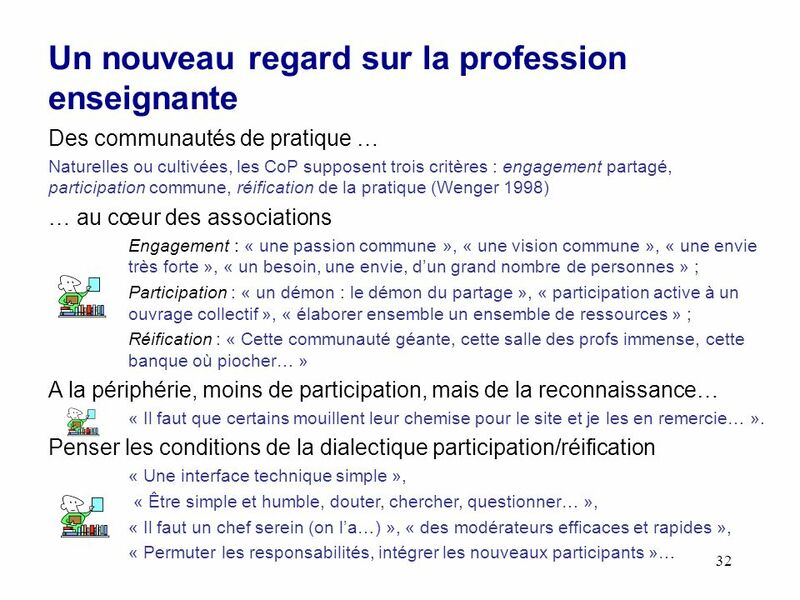 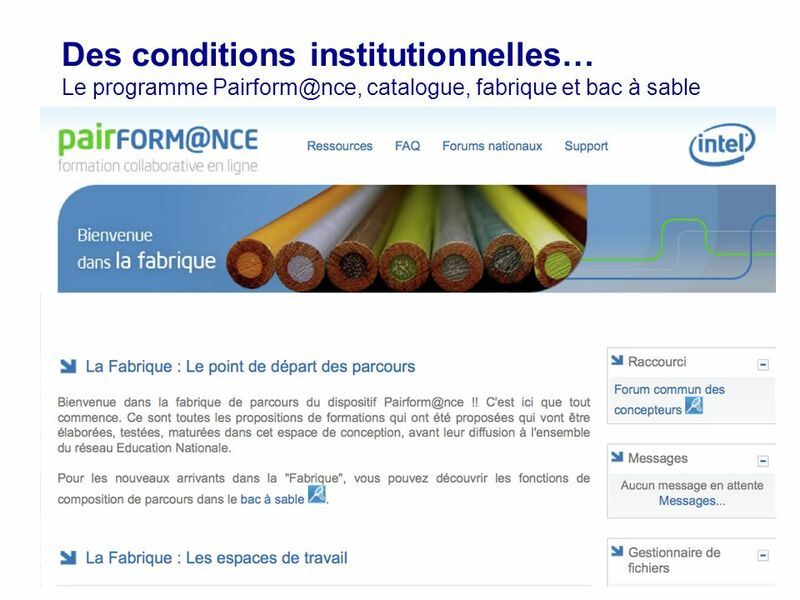 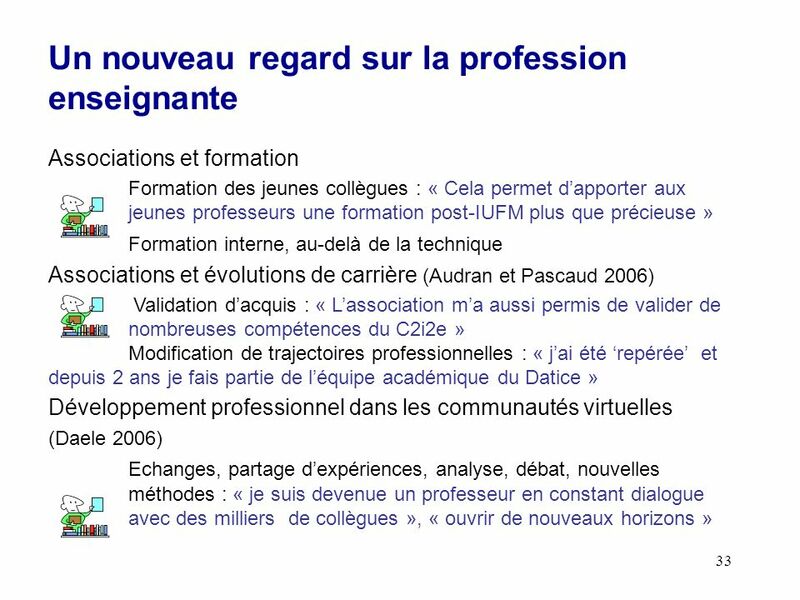 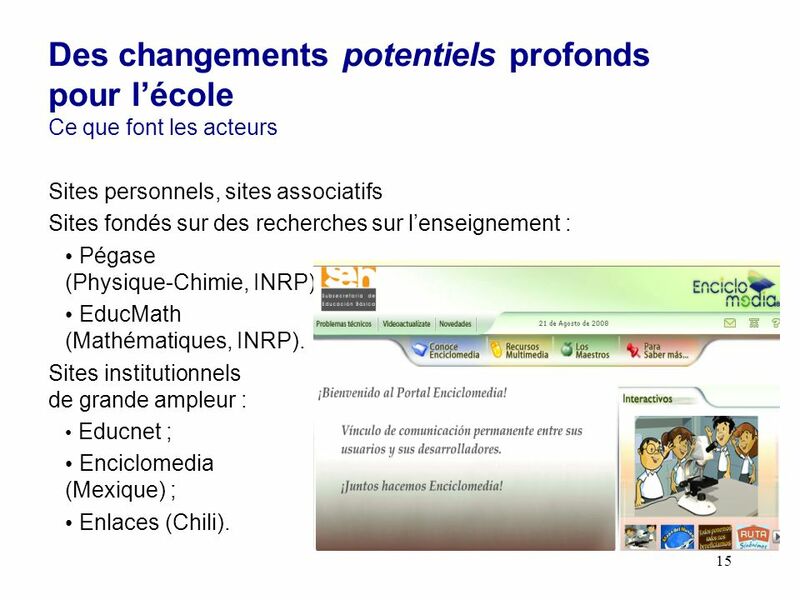 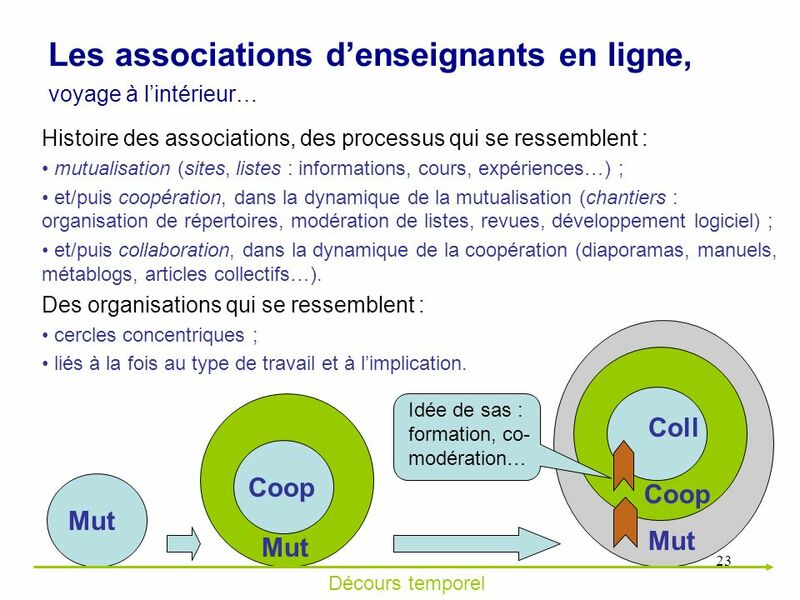 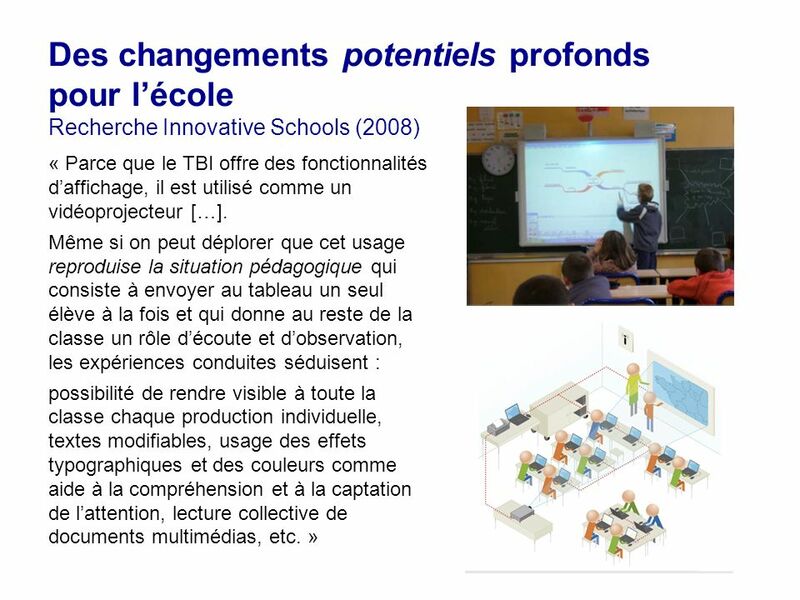 18 18 Des changements potentiels profonds pour lécole Résultats dune enquête européenne (7 juillet 2009) http://insight.eun.org/ww/en/pub/insight/school_innovation/best_practi ce/steps_findings_presented.htm - Indicators should address parameters such as school leadership, level of drop-outs and heterogeneity, and assess the impact on learning outcomes. 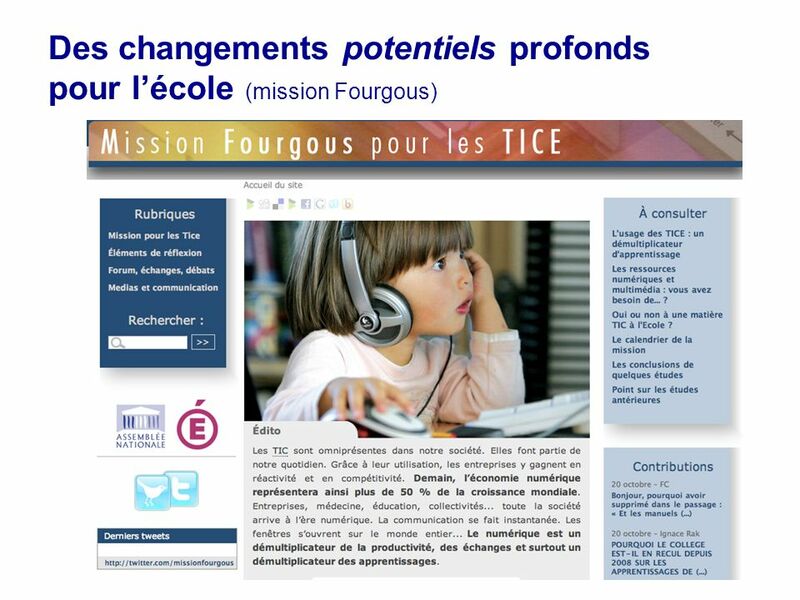 - There seems to be a new trend in the focus of impact studies, which is shifting from looking at ICT impact per se to how ICT is used in pedagogical processes. 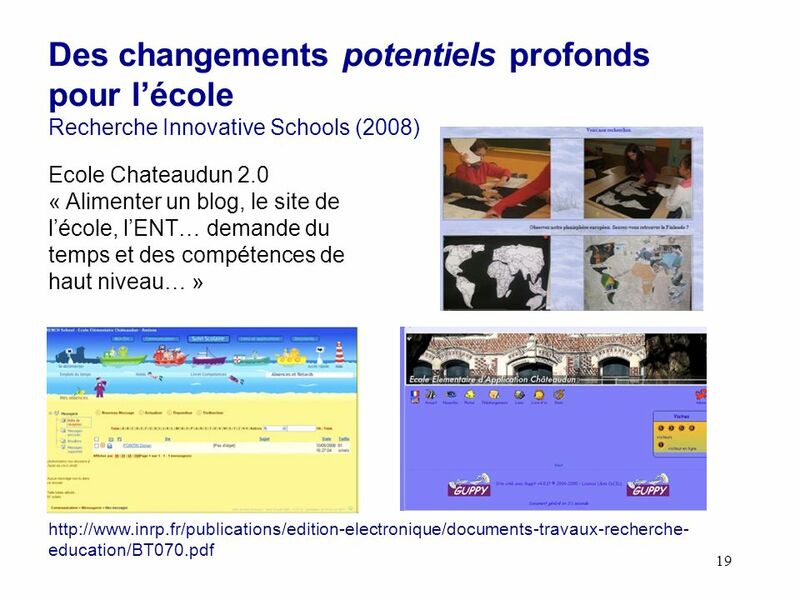 - The link between the 21st century competences (where creativity and innovation play a central role) and the abilities required and developed through interaction with online social networks and digital games was stressed likewise. 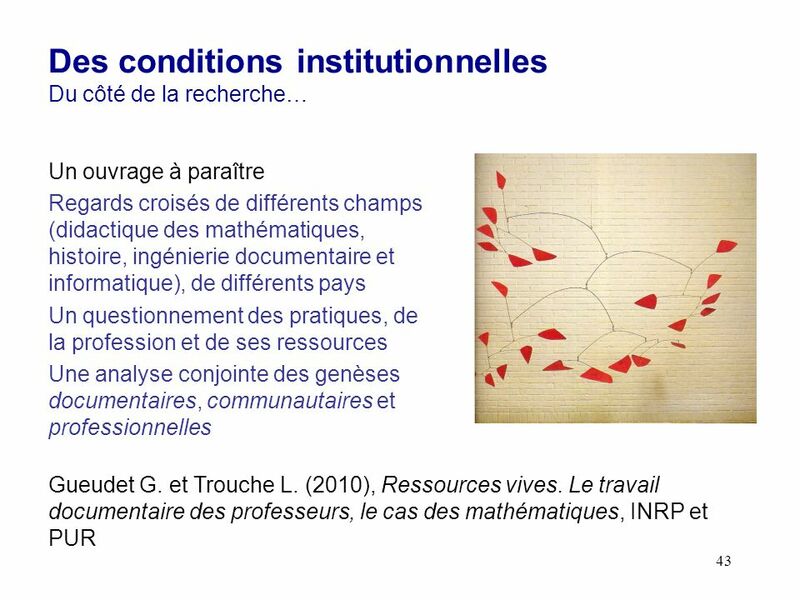 - How to engage policy makers in understanding what comes out of evidence, as researchers and policy makers still dont seem to speak the same language. 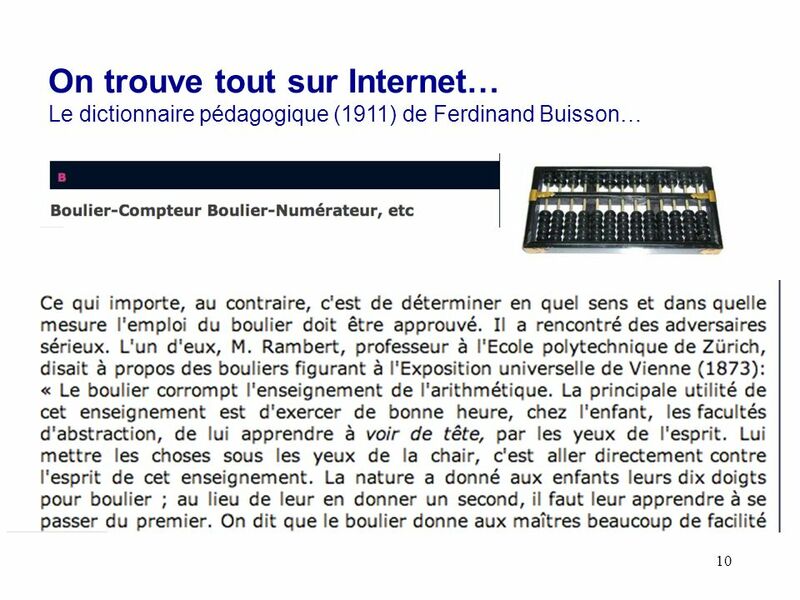 - Teachers need to be helped to fully think digital. 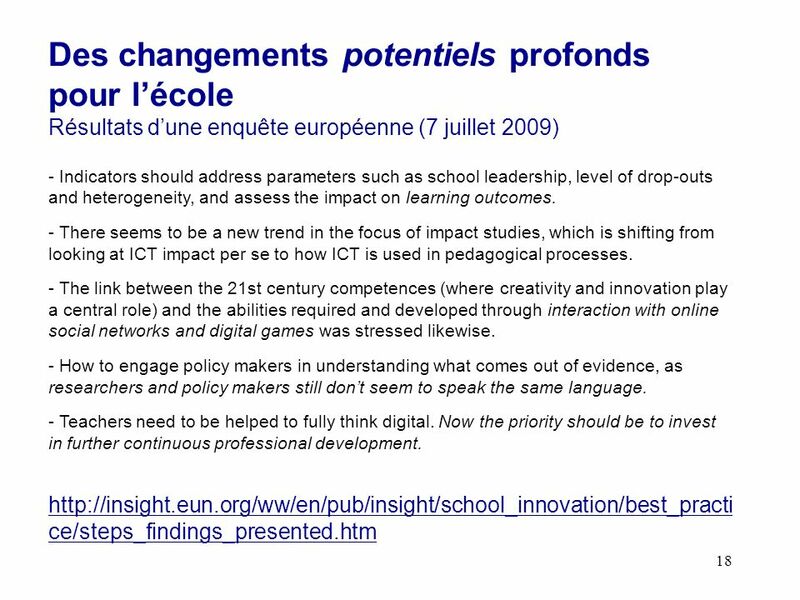 Now the priority should be to invest in further continuous professional development. 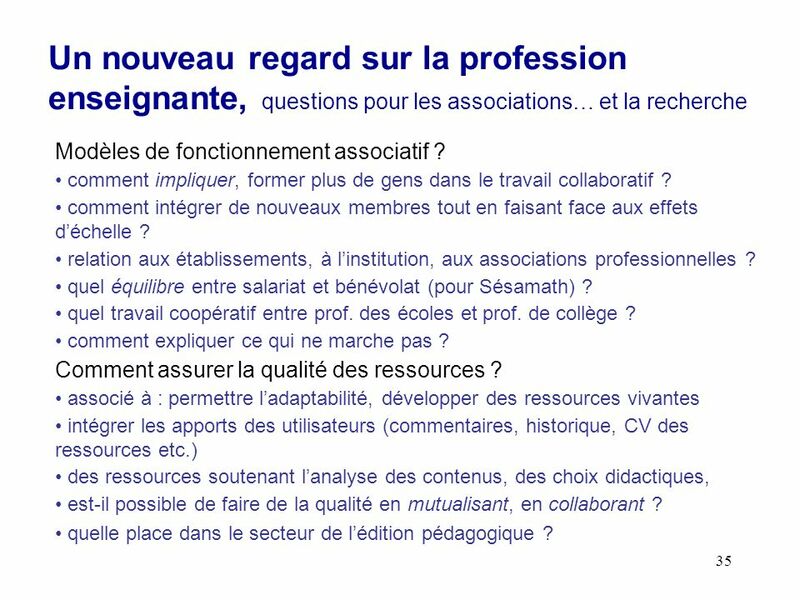 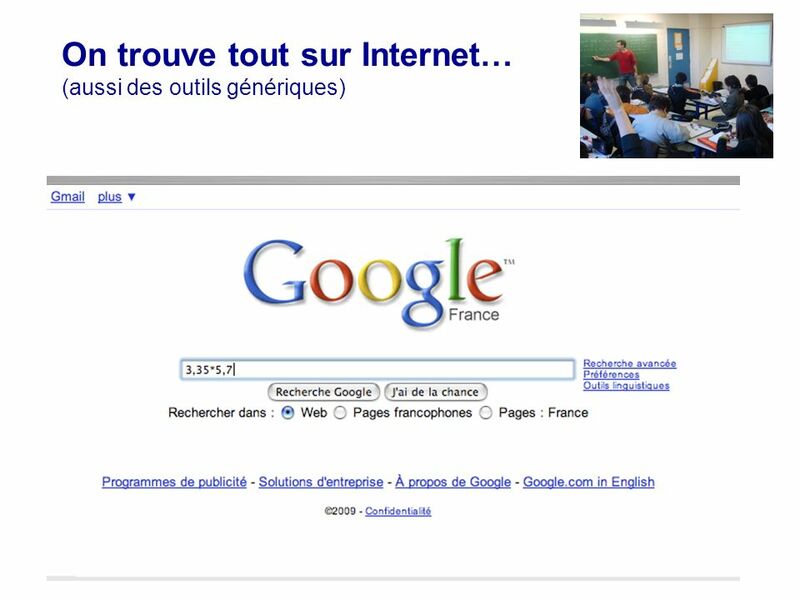 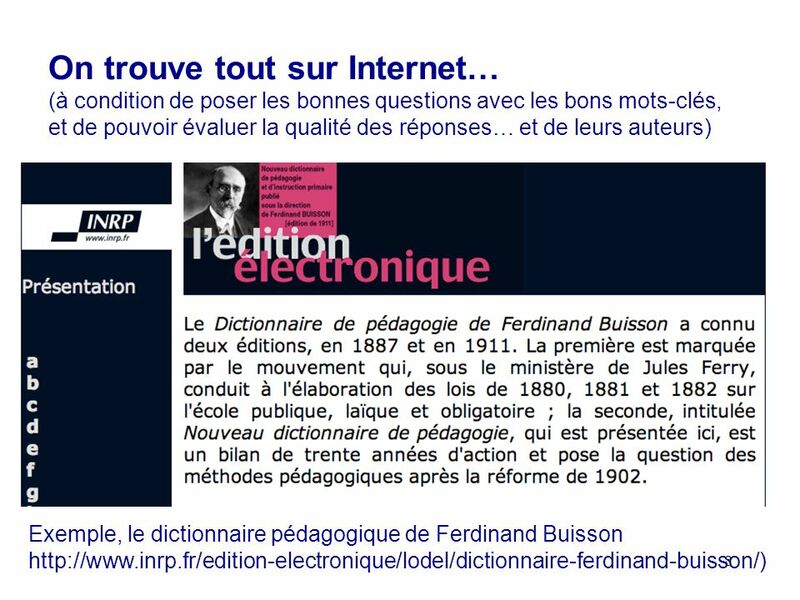 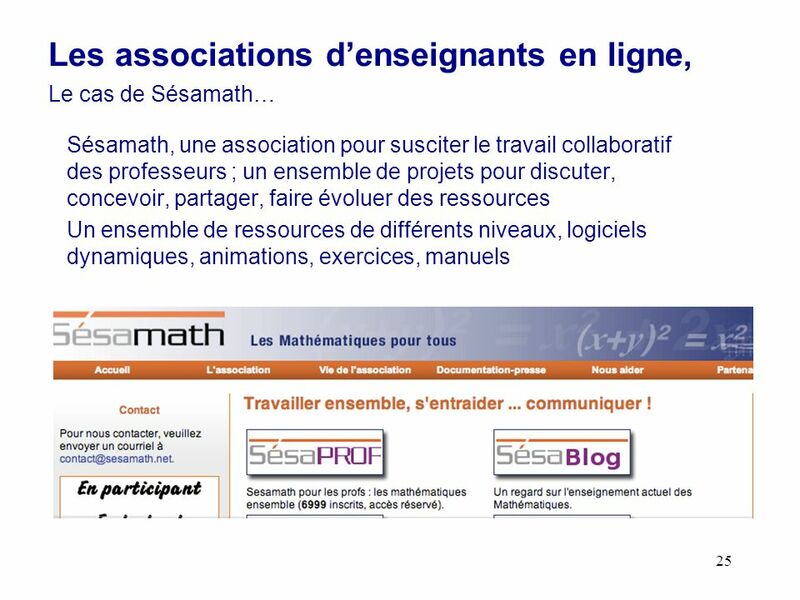 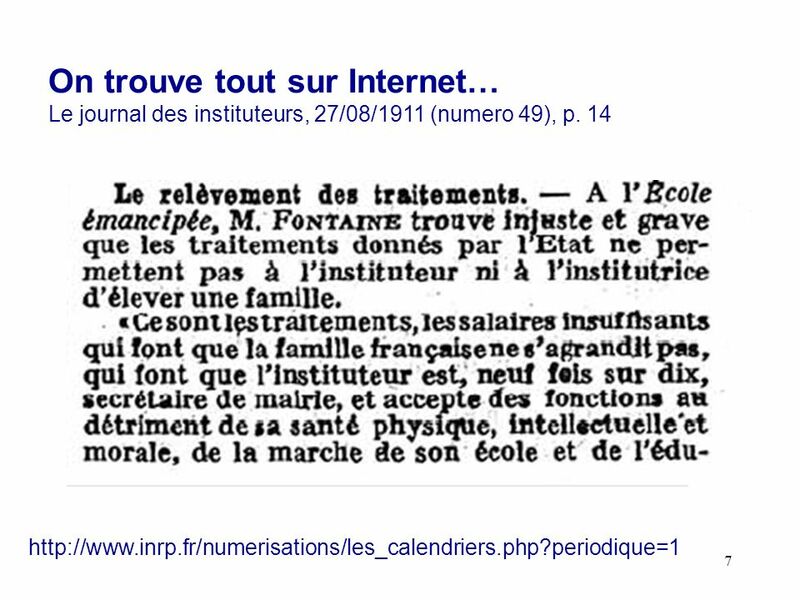 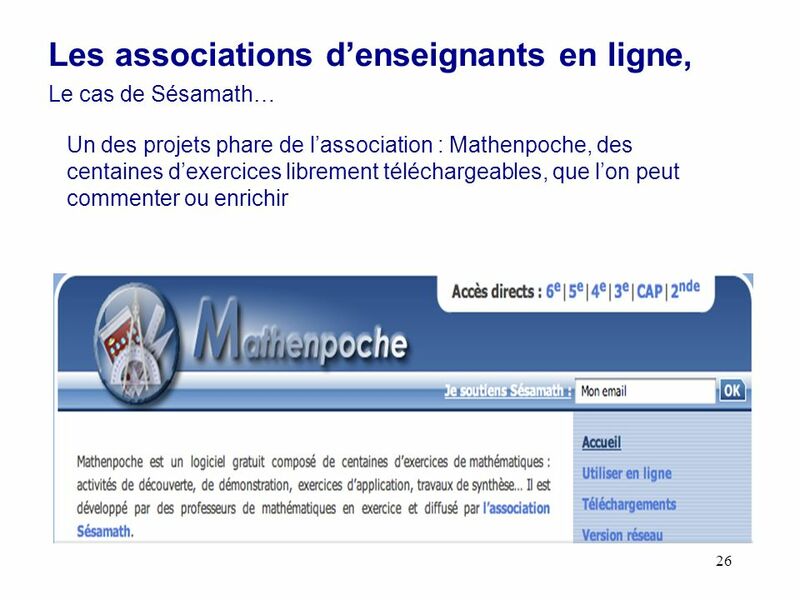 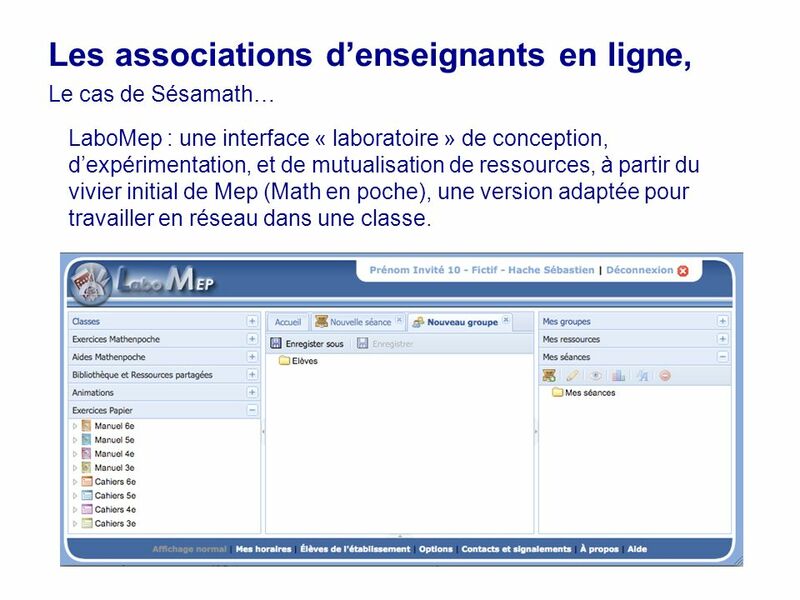 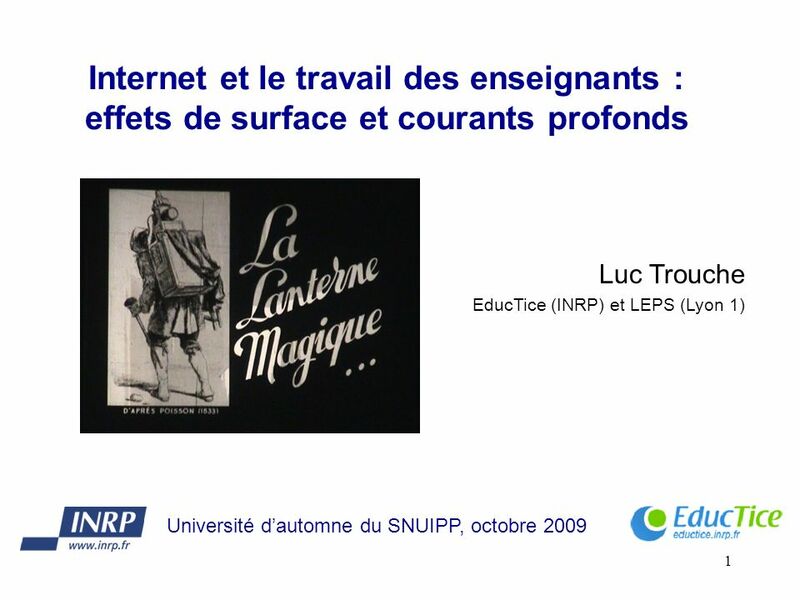 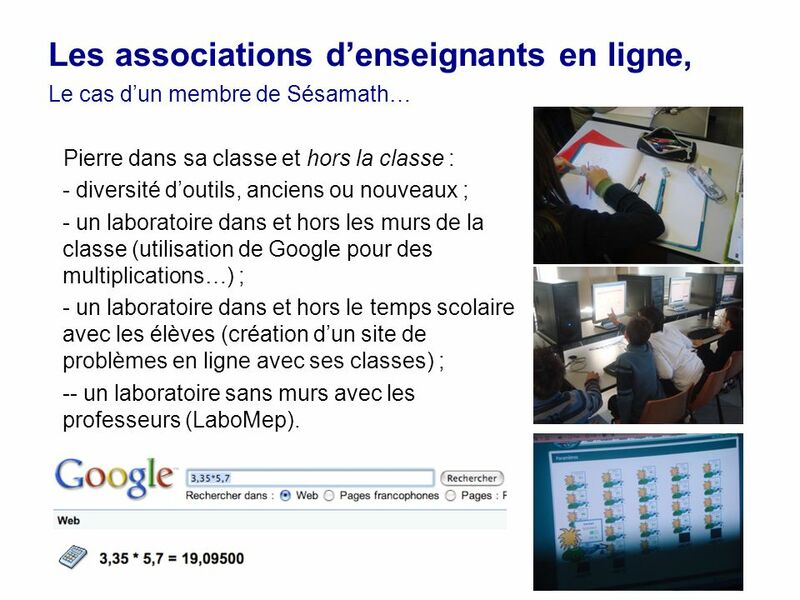 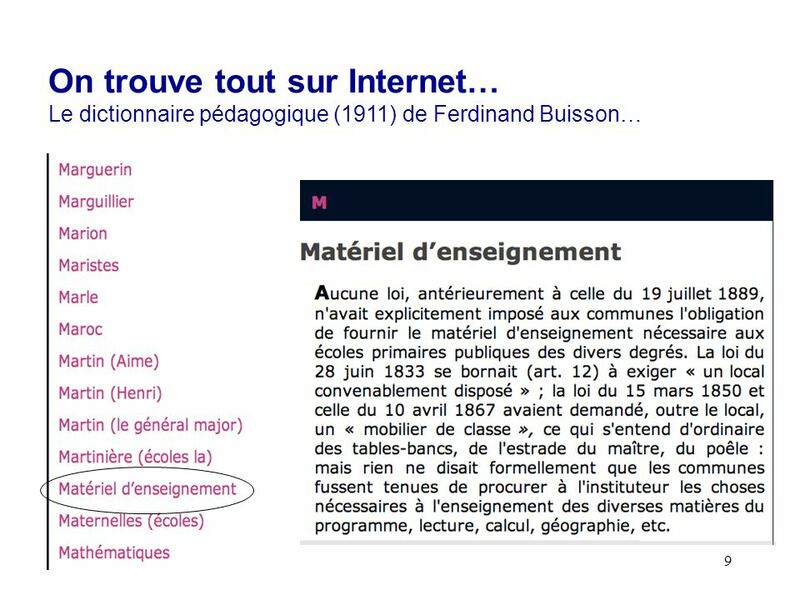 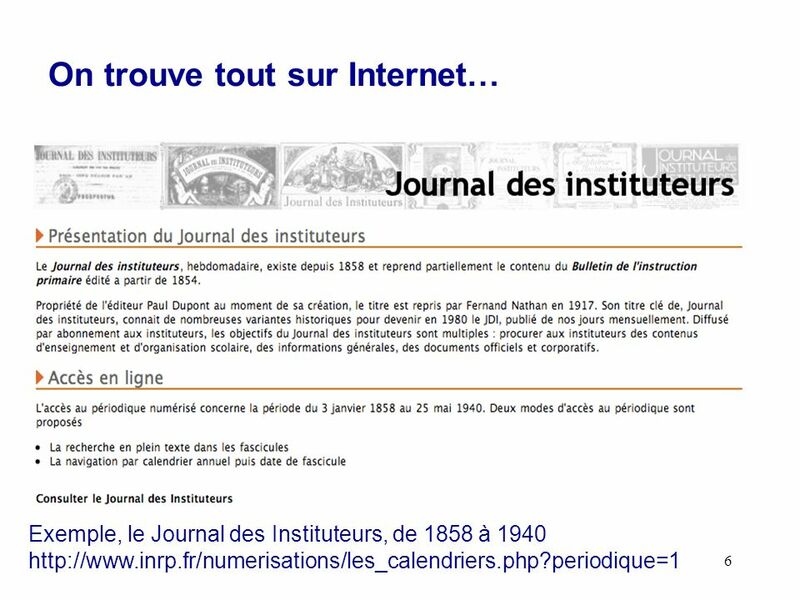 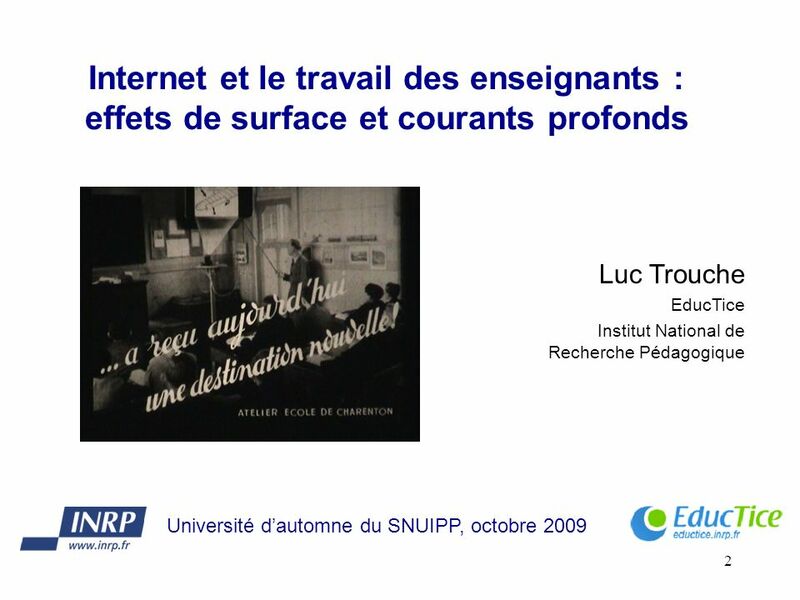 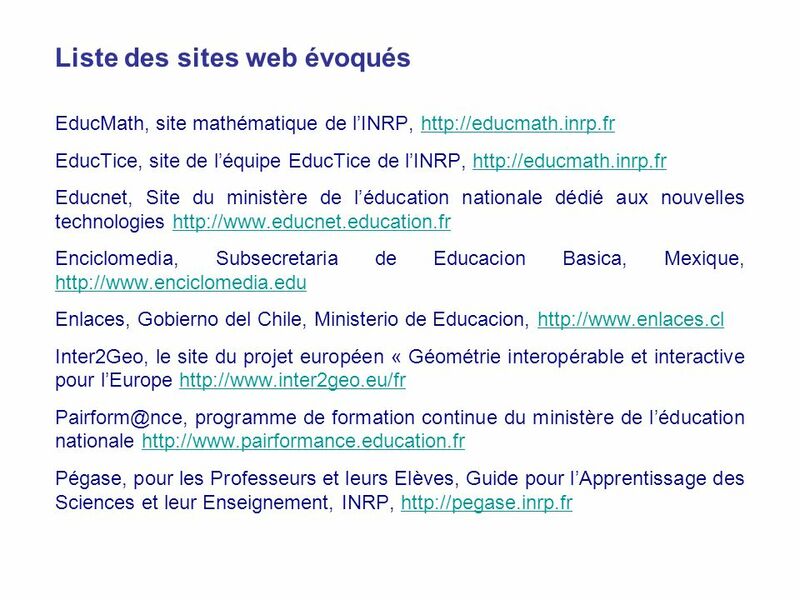 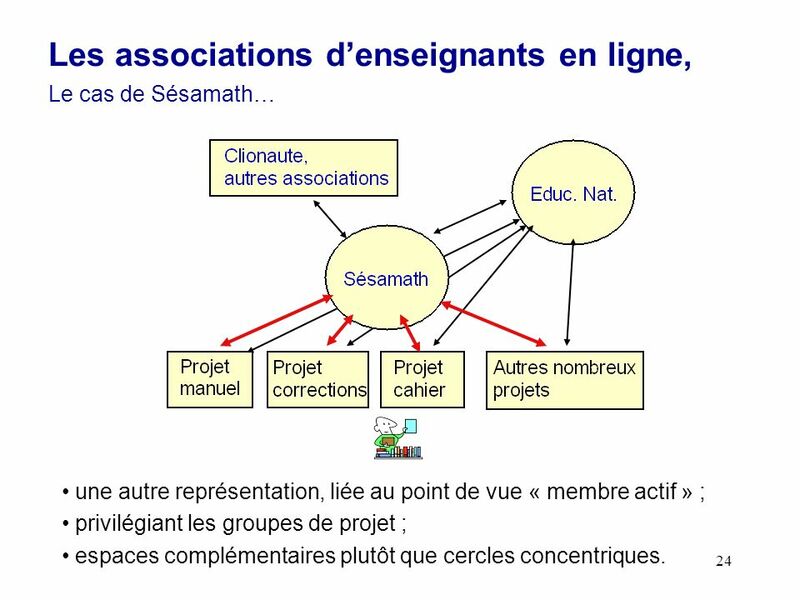 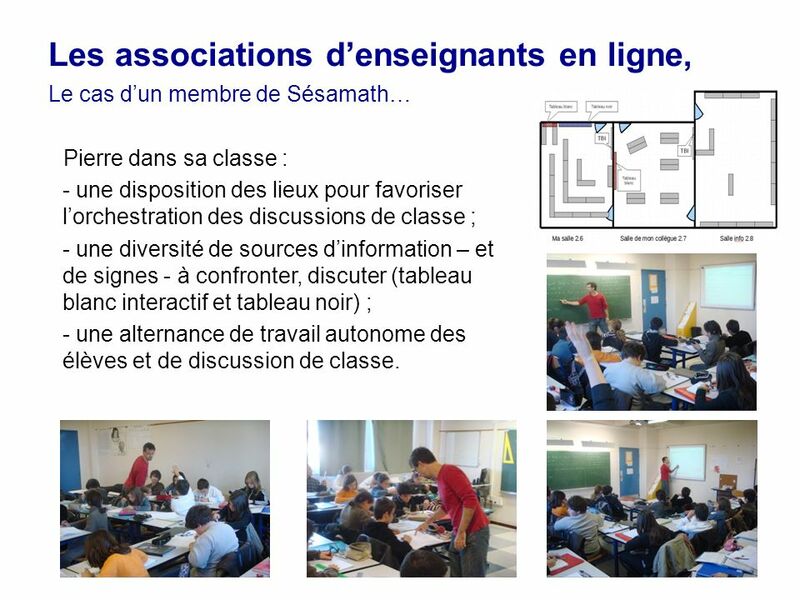 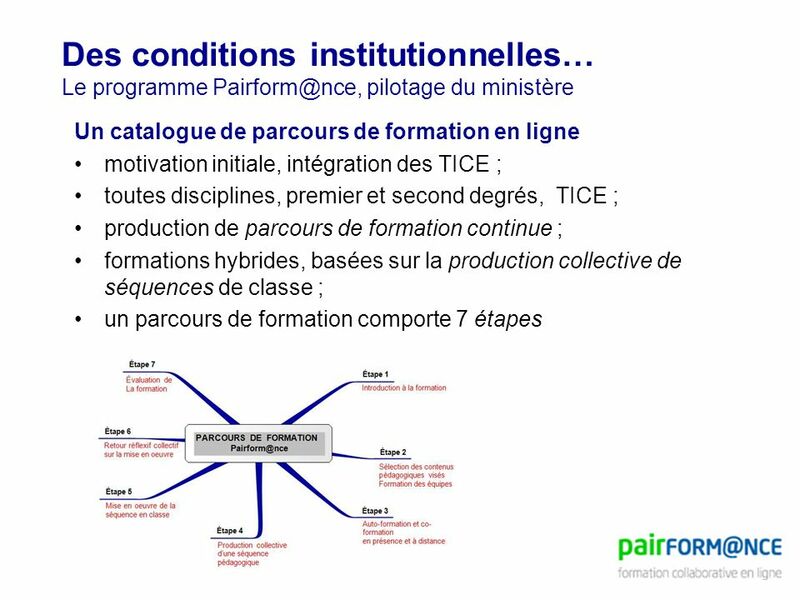 Télécharger ppt "1 Internet et le travail des enseignants : effets de surface et courants profonds Luc Trouche EducTice (INRP) et LEPS (Lyon 1) Université dautomne du SNUIPP,"